“I am writing this towards the end of a 4-week period in Thailand. I was fortunate enough to make it here on the last plane, diverted to a military airport. Many, many hours later, after a 9-hour trek through Thailand, I arrived at Ubon Ratachani University, where I have been invited to teach on an undergraduate course on Buddhist Business Administration. “This has been quite an experience, including running a 2-day retreat for 45 students , on the campus. Mostly, my brief has been to teach basic Buddhism to Thai students, and to find a way of helping the students understand the importance of this to business . Which is a strange request in a country where 30% of the economy runs under ‘sufficiency economy’ principles, as developed by the Thai king, following the work of Schumacher. “Whilst this is 90% Buddhist country, there is still a distinct lay/monastic divide, so the understanding of Buddhism here is different . 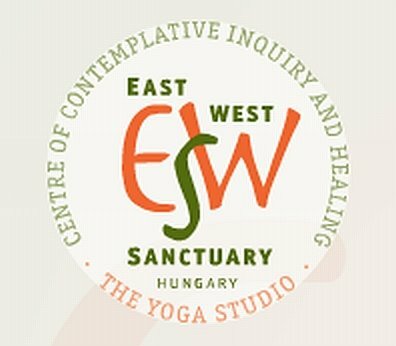 The practices and principles of the FWBO have been extremely useful, as has my own work at the East West Sanctuary, where I have been introducing basic concepts and psychotherapeutic skills into the community. “A further interesting element here is the Asoke community, of which there is one on campus. This works on Buddhist sufficiency economy principles, and throughout Thailand there are several, each with about 5-6000 people. Generally, this is a ‘movement’ which is considered ‘heretic’ from the point of view of traditional Thai Buddhism, but it is supported by many Thai people, both in spirit and financially. I received such a warm welcome, and am sure that I will be coming back. It is a privilege to see such wonderful work being carried out, and to make Buddhist connections in these different ways. “Part of the work I am developing at the EWS is that of creating sustainable community, as in these times especially it feels very important that spiritual traditions are built back into our places of work. I am engaged, here and at my university, in developing and promoting Buddhist economics, and communicating its importance in the current crisis. Unfortunately, the conference I was also attending was postponed until April because of the unrest in Bangkok, and the international visitors could not make it here. “At the end of this week, I shall be running a further workshop in a monastery near Bangkok, but this will be on psychotherapeutic methods. I understand there are already 50 people attending – from the monastic community, from those wishing to introduce Buddhist methods into their daily lives, and from a group of people studying Buddhist psychology”. Tomorrow we publish an account of another FWBO pioneer: Ujukarin's adventures in Sri Lanka.